Substantial traffic and heavy loads put a huge strain on ageing roads and infrastructure at busy port terminals. This can cause significant ground subsidence, damage to concrete foundations, and infrastructure to deteriorate under pressure. Left untreated, this can pose safety risks and interfere with the smooth running of port operations. 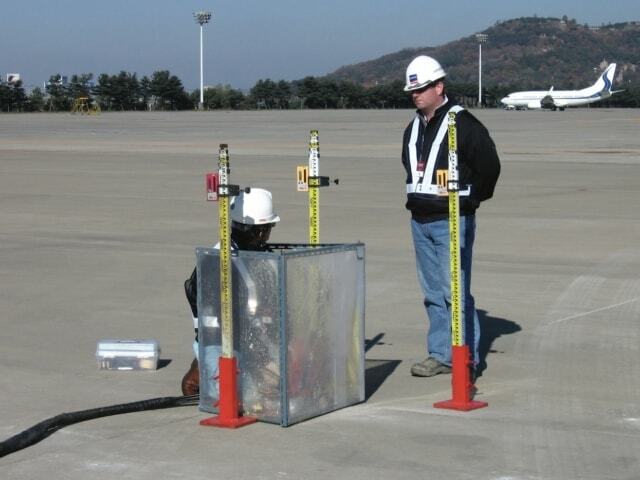 It can render runways unsafe for aircraft and dockyards unusable and destabilise crane rails. 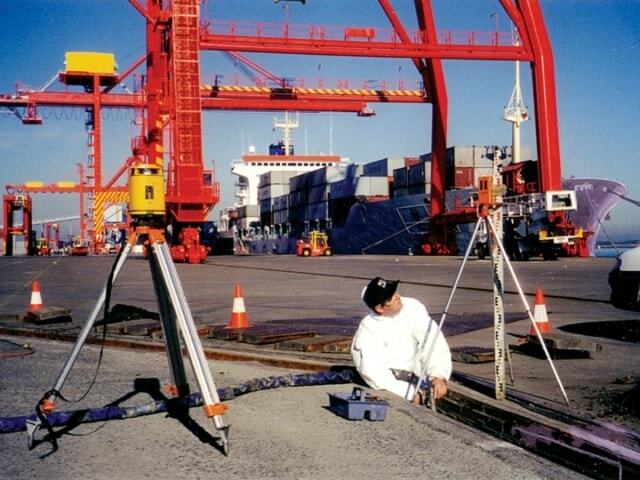 Because ports operate around the clock, securing downtime to undertake repairs is challenging and costly. Mainmark’s environmentally-inert solutions are fast and proven, minimising downtime to reduce disruption. In some cases, projects can be completed during normal operations. Our solutions help to make these busy transport hubs safer and more efficient, quickly returning them to normal operation. 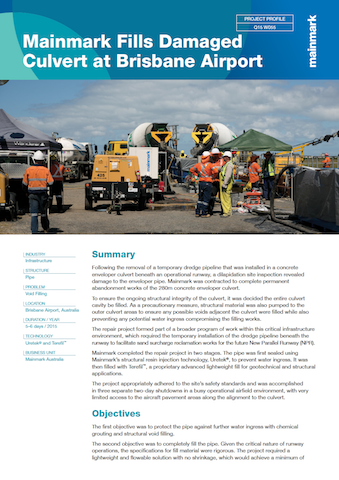 On discovering significant damage to a 280 metre concrete pipe located beneath a high load, 24/7 operational pavement, airport engineers appointed Mainmark to fill the voids and permanently abandon the pipeline. We successfully completed the project in two stages over just three separate weekend shutdowns, with limited to access to the pavement areas above the pipe. Resin was injected to fill surrounding voids and protect against water ingress, and then Terefil was used to fill and decommission the pipeline. It delivered a minimum strength of 1,000kPA to withstand the heavy loads in this busy port environment. Erosion beneath a wharf facility in remote Far North Queensland was making it difficult for an important mining site to operate mobile cranes and transport heavy loads. Extreme tidal activity had caused the backfill to erode through the seawall, rendering the wharf unsafe. 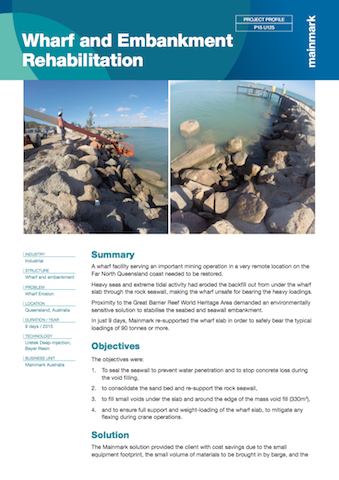 Proximity to the Great Barrier Reef World Heritage Area demanded an environmentally-sensitive solution to stabilise the seabed and seawall embankment at the shipping port. In just 9 days, Mainmark re-supported the wharf slab using Uretek deep resin injection method, making the wharf safe to bear the typical loadings of 90 tonnes or more.